This perfect crumbly sweet creation is so rich in good flavors you would never think it had so few ingredients. And even better, gluten free, and vegan. These bars are best know for their flavor shock value in the best way. We used anise honey from our honey infusion post, but if you don't want to go the extra mile, maple syrup will do the trick. This loaf can be easily made with gluten as well with any whole grain flour and same goes for the nut situation. We love walnuts because of their anti-oxidant and anti-inflammatory benefits. They are a great source of fatty acids, they help lower bad cholesterol and increase good cholesterol, Vit E and B complex groups, manganese, copper, iron, potassium. Preheat oven to 375F. Line a 9" baking tin with parchment paper. 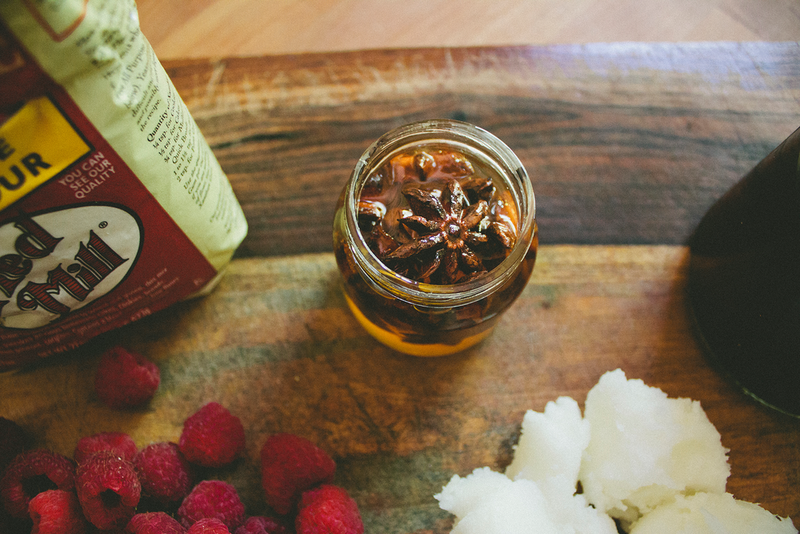 In a large bowl, mix together the coconut oil and honey or maple syrup until smooth. 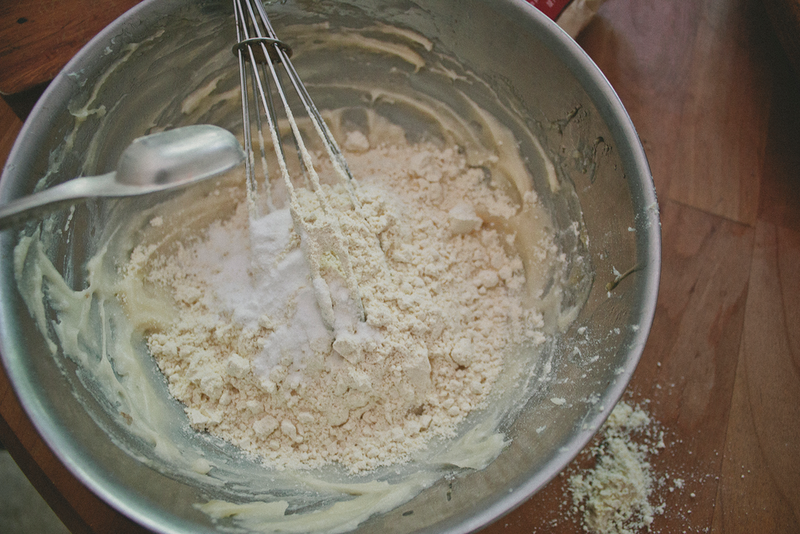 Add the flour and baking soda and combine. 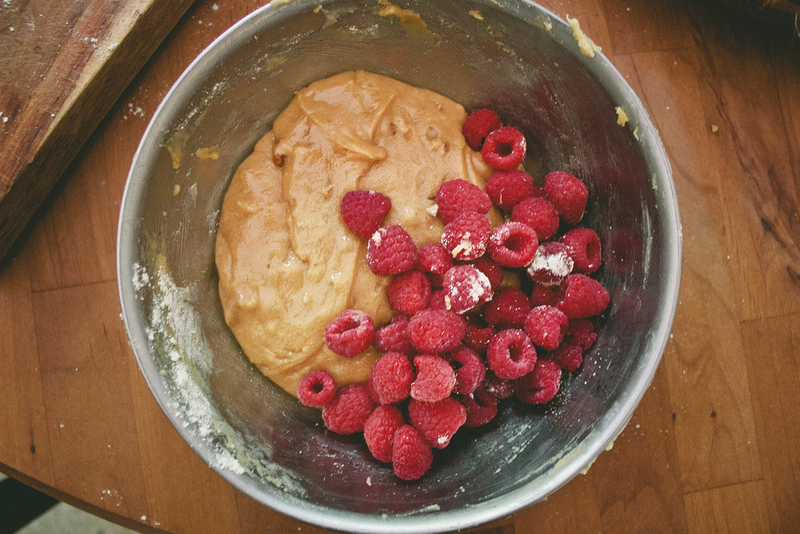 Finally stir in the chopped walnuts and raspberries with yr fav lickable spoon. 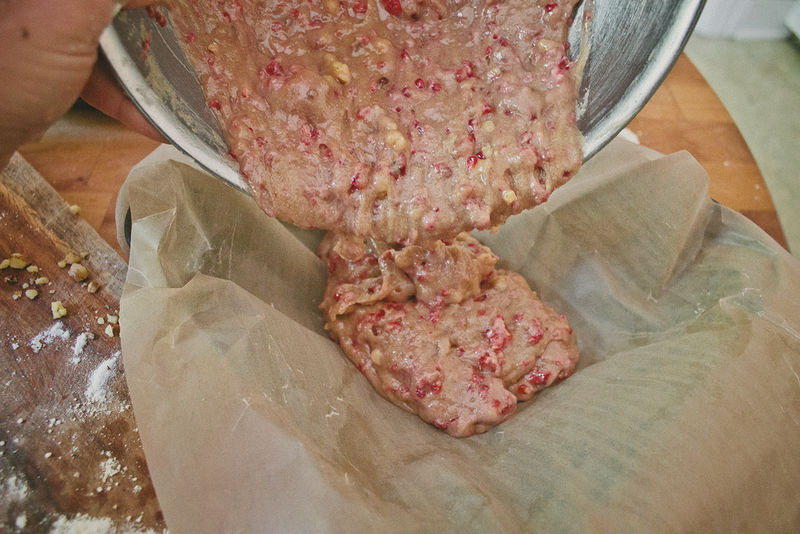 Scoop the batter into the baking tin and pat down until evenly distributed.Bake for approx 30mins. Remove and allow to cool completely before cutting into squares. The bars will be crumbly if not cooled.